College Park Center is proud to host the University of Texas at Arlington’s men’s basketball, women’s basketball, and volleyball teams. All three programs have won conference championships and participated in NCAA tournaments in recent years, and are competing hard to return this season. The University and all its athletic teams are members of the Sun Belt Conference. Tickets for upcoming games can be purchased at utatickets.com. 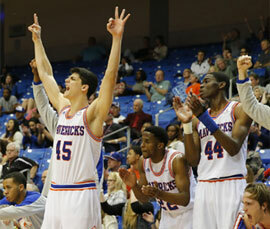 Learn about UTA Athletics premium seats and the Maverick Club. UT Arlington’s first basketball team hit the court in 1959. Four years later, the University became a founding member of the Southland conference. The team won the Southland Conference Championship in 2008 and 2012, and has participated in the NCAA Tournament and National Invitation Tournament. Over the past decade, the women’s basketball program has built a reputation as one of the most consistently successful in the region. During that period, the teams won three Southland Conference regular season titles and two SLC tournament titles. 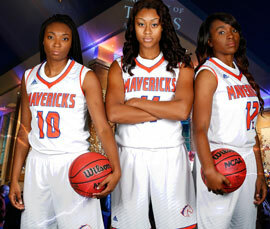 They’ve also made two trips to the NCAA tournament and one to the Women’s National Invitational Tournament. 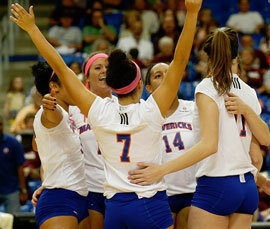 Since it first debuted in 1973, the volleyball program has achieved significant success. 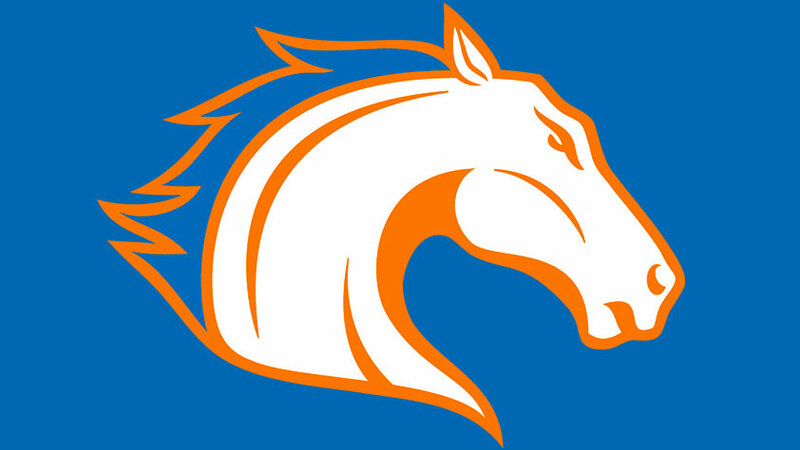 It is the 10th all-time winningest NCAA Division I volleyball program in the country, had the most regular season championships (12) and the most Conference Tournament championships (10) in Southland Conference history, and also claimed the most wins (7) by a Southland Conference team in NCAA Tournament competition.